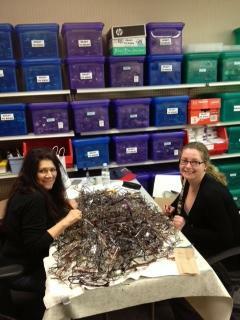 The Kingstowne Lion's Club will help recycle your old eye glasses to help those less fortunate improve their vision. Eye glasses can be dropped off at Vichelle's Hair Magic, at the Hayfield Plaza Shopping Center, at the corner of Hayfield and Telegraph roads, across from the Hayfield Secondary School or by contacting the club through this web page. The Kingstowne Lion's Club supports the environment by conducting a cleanup of our local neighborhood. We sponsor an annual area wide clean up and have adopted Kingstowne Village Parkway for quarterly clean up. 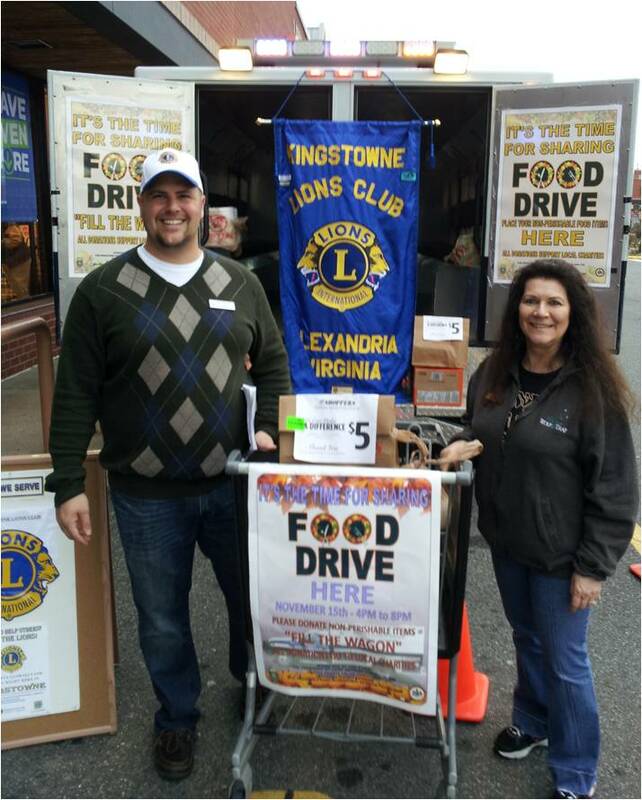 The Kingstowne Lion's Club works with the officers of the Franconia-Springfield Police Station to Fill the Wagon, with food that is, during their Thanksgiving Day food drive. The food collected supports local food shelters in Fairfax County. The Kingstowne Lion's Club supports MD-24A's Sight and Hearing Screening Van by providing free vision and hearing tests for members of the Kingstowne Community.